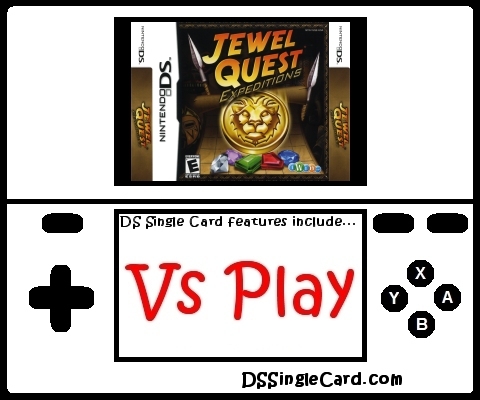 Alternate Names: "Jewel Quest II", "Jewel Quest DS", "Jewel Quest Expeditions DS", "Jewel Quest II DS", "Jewel Quest 2", "Jewel Quest 2 DS"
Form groups of three or more matching jewels with your stylus. Turn the board to gold and create cascades of more jewels! Jewel Quest Expeditions is a puzzle adventure through Africa sure to captivate your senses and imagination with each turn!